A pair of yellow Adidas shoes with three blue stripes and white rubber bumpers worn by Bruce Lee for "Game of Death.," Columbia Pictures, 1978. This item is part of Julien's Auctions "Legends" which took place Saturday Oct. 9, 2010, in Macau, China. AP Photo/Julien's Auctions. MACAU.- The Hollywood Legends auction was successfully conducted by Juliens Auctions at the Ponte 16 Resort Hotel, Macau (Ponte 16) today. Ponte 16 is the venue sponsor for this first auction held by Juliens Auctions in Asia, which has attracted buyers and collectors of Hollywood and Rock n Roll pop culture artifacts from around the world. 435 auction items were sold during the 11-hour auction, bringing in a total of US $3.2 million. The auction was conducted in two sessions featuring stage costumes and collectibles from a number of superstars and celebrities. Items auctioned in the first session included the personal belongings of Princess Diana, Bruce Lee, Marilyn Monroe and The Beatles, as well as an assortment of pop culture artifacts from Hollywood Blockbuster movies. Meanwhile, items of Michael Jackson (MJ), The Jackson 5, Madonna and Elvis Presley were sold in the second session. Apart from participating in the auction in person, many bidders also joined the auction through absentee bidding, online platform or bid over the telephone. More than 10,000 bidders from the United States and Canada along with different parts in Europe such as France, Switzerland, and Ireland participated in the exciting auction to compete fiercely with bidders from Asia, especially Japan. Representatives from Japan, Taiwan, Hong Kong, and PRC MJ fans club also attended the auction. The auction has brought to Macau a rare collection of pop culture historical artifacts. 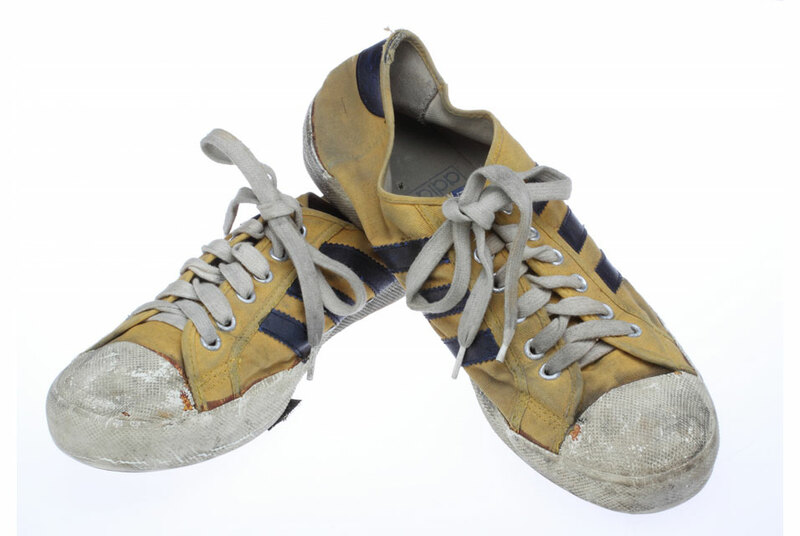 Among them are Bruce Lees Game of Death shoes, selling to a US bidder for US$12,500 including buyers premium. Michael Jacksons black glove and arm brace, with a highest estimated price of US $50,000, was also sold to a US bidder for US $216,000 including buyers premium after several rounds of intensive bidding. Michael Keatons costume in Batman Returns fetched US $43,750 including buyers premium. The ball gown of Princess Diana, received over-whelming responses from bidders. The item sold for US$114,000 including buyers premium. Furthermore, MJs BAD era jacket was sold at 19 times over the highest estimated price at US $156,000 including buyers premium. The most stunning result went to the Michael Jackson and Michael Jordan signed basketball, which was sold at 366 times over the highest estimated price at US $294,000 including buyers premium. Ponte 16 participated enthusiastically in the auction as well, taking advantage of this opportunity to enrich its own collection of collectibles. Last November, Deputy Chief Executive Officer of Ponte 16, Dr. Hoffman Ma successfully bid for the white rhinestone glove which MJ wore on his left hand in his iconic Moonwalk dance for the first time. This time, Dr. Ma, representing Ponte 16, successfully bid for MJ electric jacket and used towel at US $102,000 including buyers premium and MJ signed guitar at US $10,000. As both items were won at nearly 12 times over the highest estimated price, all the participants gave their big hands to Ponte 16. The resort is planning to place the newly acquired collectibles in the MJ Gallery to continuously enrich its display attracting visitors from all over the world. We are thrilled to see such success in our first auction in Asia. We thank Ponte 16 for such an excellent venue and facilities. Our successful cooperation with Ponte 16 this time bodes well for future cooperation and I am confident this will help to bring our business to a new height. These international events are set to attract more tourists to Macau and Asia, said President and Chief Executive Officer of Juliens Auctions, Mr. Darren Julien. This auction was significant because of the legendary items offered, and also historical since this was the first pop culture auction conducted in Asia by a U.S. auction house, said Mr. Martin Nolan, Executive Director of Juliens Auctions. Ponte 16 introduced an array of promotion activities during the National Day Golden Week, including Hollywood Legends Exhibition in which over 200 pieces of the 435 auction items are on display. The exhibition has successfully attracted around 10,000 people and the event finished at a high note with the successful auction. Museum of Modern Art Complements Abstract Expressionist Exhibition with "On to Pop"